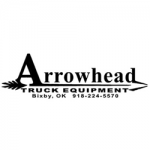 Arrowhead Truck Equipment is a Native American owned, SBA 8a HubZone company that specializes in working with you to provide high quality truck equipment for your specific application. We are a member of the Cherokee Nation TERO and an MVP member of the National Truck Equipment Association. We will do everything we can to ensure that your experience with us is a positive one. Please have a look around our website and if you have any questions, feel free to call us!